You all know how much I love green skincare. 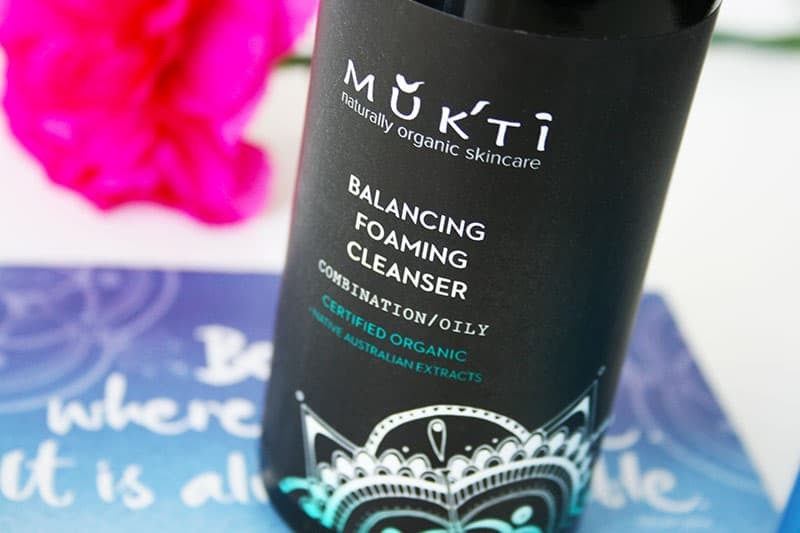 I was introduced to Mukti Organics last summer, and I’ve given their products quite a long test-drive. 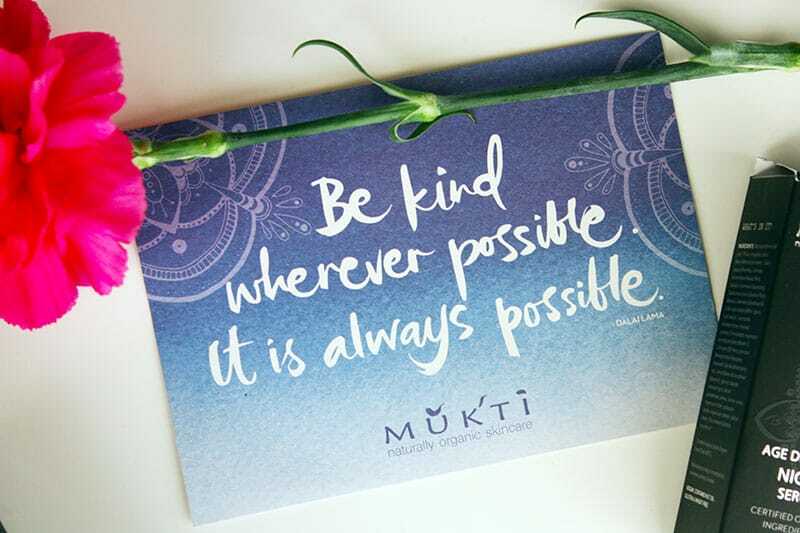 Mukti is an Australian brand that focuses on organic and uber-natural skin and body care. 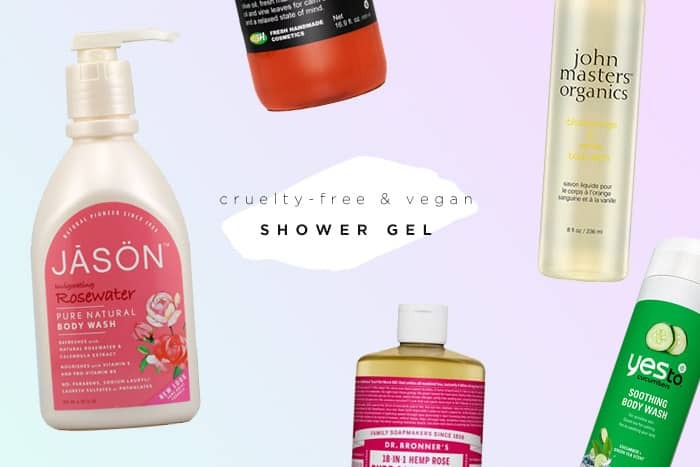 Some of you will be pleased to know that their products are 100% vegan as well! Mukti is very meticulous about their formulations and ingredients, and they source and manufacture everything locally in Australia. Do their products measure up?! I’ll cut right to the chase and tell you that I’ve been really impressed by this brand. I tried 3 products as part of my regimen: cleanser, night serum, and antioxidant serum. They have several cleansers for various skin types, and I’ve tried their Balancing Foaming Cleanser ($49.95) which is best suited for combination or oily skin. I have combination skin that’s mostly dry, and it didn’t strip my skin. It’s one of those cleansers you will forward to using because of how well it works, and because of the relaxing beachy scent. If you have oily skin and are looking for something on the luxurious side, I 100% recommend this cleanser. Aloe Barbadensis Leaf Juice*, Brachychiton Acerfolius (Flame Tree), Tasmannia Lanceolata (Mountain Pepper Leaf)*, Fucus Vesiculosus (Bladderwrack)*, Calendula Officinalis (Calendula)*, Chamomilla Recutita (Chamomile)*, Ginkgo Biloba Leaf*, Equisetum Arvense (Horsetail)*, Urtica Dioica (Nettle)*, Trifolium Pratense (Red Clover)*, Rosmarinus Officinalis (Rosemary)*, Salvia Officinalis (Sage)*, Achillea Millefolium (Yarrow)* Extracts, Coco Glucoside, Phenethyl Alcohol* (Natural), Xanthan Gum, Citrus Aurantifolia (Lime)*, Citrus Grandis (Pink Grapefruit)*, Citrus Amara (Petitgrain)*, Citrus Nobilis (Mandarin)*, Rosa Damascena (Rose) Absolute*. This is the star of the show. 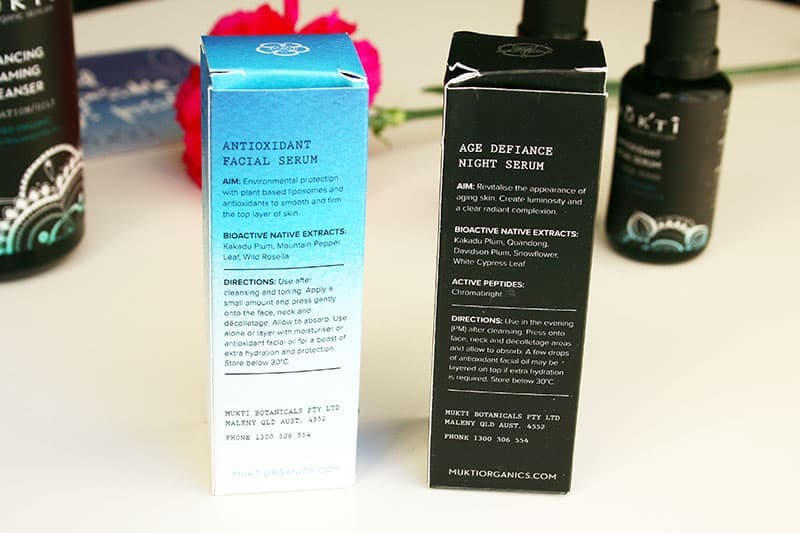 Mukti’s Age Defiance Night Serum ($109.95) contains Retinol, which is more potent than Retinyl Palmitate or Retinyl Acetate. This product promises a “facelift” after 60 days of use, but I personally use it to smooth out my dull skin and control occasional breakouts — and it works wonders. It also contains Niacinamide, Vitamin C, CoEnzyme Q10, and Chromabright. This serum makes your skin smoother, more supple, and helps to fade dark spots. It also contains antioxidants to protect your skin from more damage, and I love the combination of natural and effective ingredients it has. The lovely lemony scent makes it very pleasant to use! This was my first ever retinol product, and although I have sensitive skin, I didn’t experience any major burning or redness. I love what this serum does to my skin, and I’ve also learned that retinol works wonders for my occasional hormonal acne. This serum stops the breakouts overnight, and helps get rid of any marks. If it fits within your budget, this is the one product I would recommend. Aloe Barbadensis Leaf Juice*, Prunus Amygdalus Dulcis (Sweet Almond) Oleosomes*, Carica Papaya (Paw Paw)*, Terminalia Ferdinandiana (Kakadu Plum)*, Santalum Acuminatum (Quandong)*, Davidsonia Pruriens (Davidson Plum)*, Melaleuca Alternifolia (Snowflower)*, Callitris Glaucophylla (White Cypress Leaf)* Extracts, Niacinamide, Dimethylmethoxy Chromanyl Palmitate (Chromabright), Magnesium Ascorbyl Phosphate (Vitamin C), CoEnzyme Q10, Punica Granatum (Pomegranate)*, Hippophae Rhamnoides (Sea Buckthorn) Berry* Oils*, Retinol (Vitamin A), Tocopherol (Vitamin E), Glyceryl Caprylate, Sclerotium Gum, Calcium Pantothenate, Proline, Alanine, Serine, Magnesium Lactate, Potassium Lactate, Magnesium Chloride, Sodium Citrate, Citrus Limonum (Lemon)*. The Antioxidant Facial Serum ($59.95) is a gel rather than an oil. 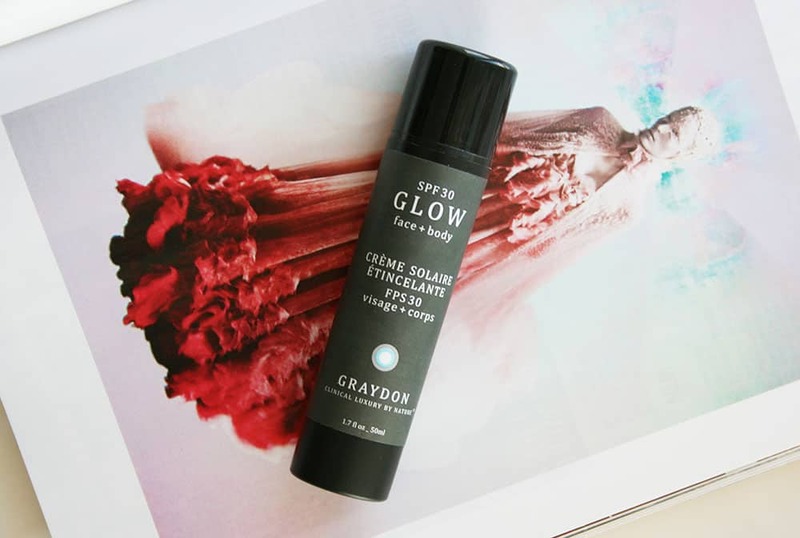 It has a sweet, flowery smell and it’s sticky when you first put it on, but it absorbs to a matte finish. It’s a great moisturizer for the summer, or for those with oilier skin. 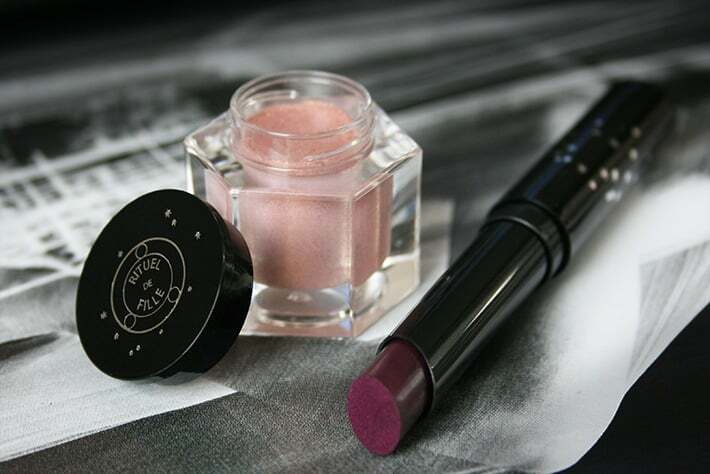 It’s also a great, nourishing and clean makeup base — you just have to wait for it to fully dry. Aloe Barbadensis Leaf Juice*, Lecithin (non GMO)*, Prunus Amygdalus Dulcis (Sweet Almond)*, Terminalia Ferdinandiana (Kakadu Plum)*, Hibiscus Abelmoschus (Wild Rosella)* & Tasmannia Lanceolata (Mountain Pepper Leaf)* Extracts, Punica Granatum (Pomegranate)*, Rosa Canina (Rosehip)*, Oenothera Biennis (Evening Primrose)*, Borago Officinalis (Borage)*, Aleurites Moluccana (Kukui Nut)*, Hippophae Rhamnoides (Sea Buckthorn) Berry*, Calophyllum Inophyllum (Tamanu)* & Daucus Carota (Carrot) Seed* Oils, Tocopherol (Vitamin E), Sclerotium Gum; Glyceryl Caprylate, Rosa Centifolia (Rose)*, Geranium Maculatum (Geranium)*, Citrus Amara (Petitgrain)*, Lavandula Angustifolia (Lavender)*, Citrus Aurantium dulcis (Sweet Orange)*, Rosmarinus Officinalis (Rosemary) Extract*. 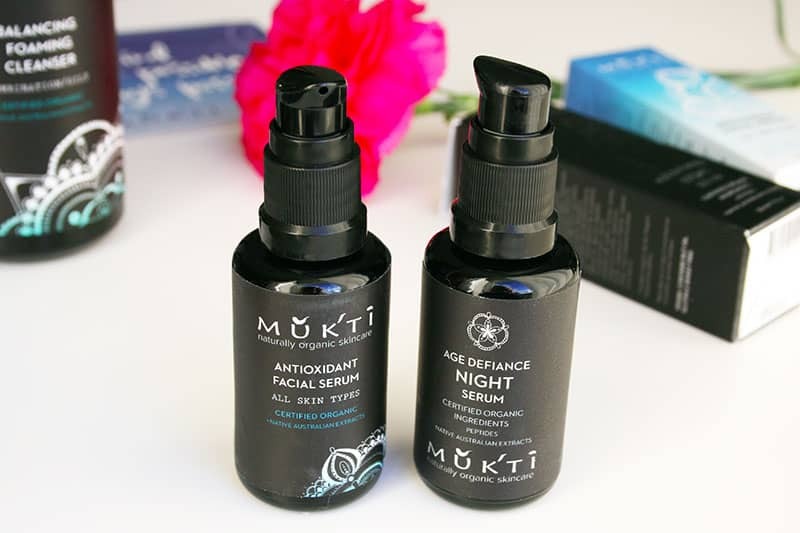 I was impressed with Mukti Organics, particularily their powerhouse night serum. 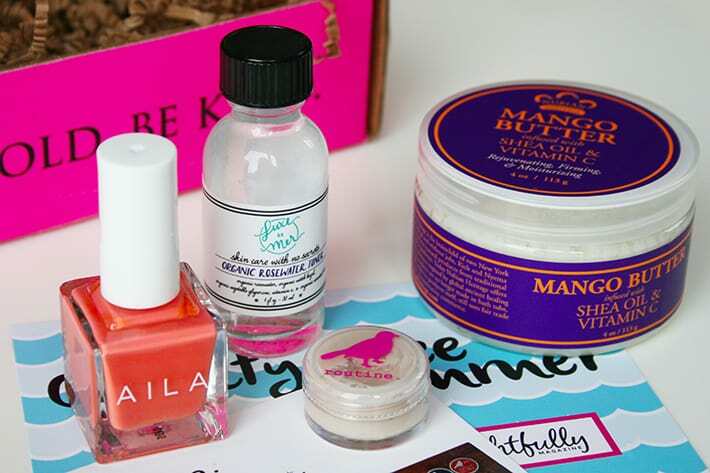 Not many skincare brands succeed at being an absolute pleasure to use every single day. Mukti products feel ultra-luxurious, and they’re loaded with powerful and clean ingredients that are also all-vegan (a huge bonus!). I really hope that their products will become more readily available in America! Right now, you can only purchase through their site here. My readers can enjoy 10% off their order with the code “crueltyfreekitty”. Their night serum sounds fab! Smoother skin is always a love, hope they have some products out in England. They sound fab! Hey Daizy, thanks for dropping by! Sweet blog! Thanks for the introduction. Love that aloe vera is the main ingredient in the formulas.